I think I might be a bit obsessed with pizza shortcuts and this one is probably my most daring yet. 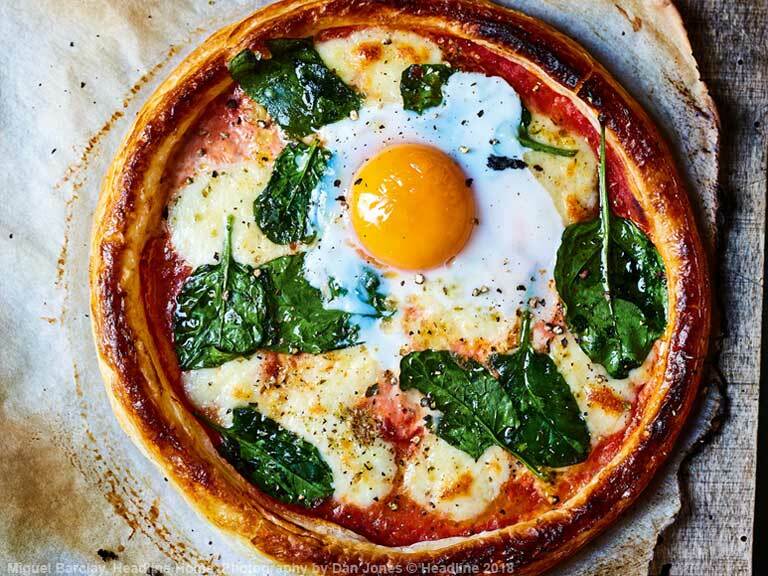 It might look like a regular pizza, but look a little closer and you’ll see this one is actually made with puff pastry. Yes, puff pastry! Preheat your oven to 190°C/gas mark 5 and line a baking tray with greaseproof paper. Using a plate as a template, cut out a big circular piece from the puff pastry square. Place it on the lined baking tray and lightly score a 1cm border around the edge with a knife, making sure not to cut all the way through. Prick the inner circle a few times with a fork (this will stop it rising in the oven). Spread the passata onto the pastry, within the border, season with salt and pepper, sprinkle with the oregano then add the mozzarella and spinach. Bake in the oven for about 10 minutes, then crack the egg in the middle and return to the oven for another 10 minutes until the egg white is cooked but the yolk is still runny. Leftover puff pastry? Try making Miguel Barclay's quick and easy ham and leek pie. Recipe extracted from Super Easy One Pound Meals by Miguel Barclay, out now £16.99 Headline. Photography by Dan Jones. 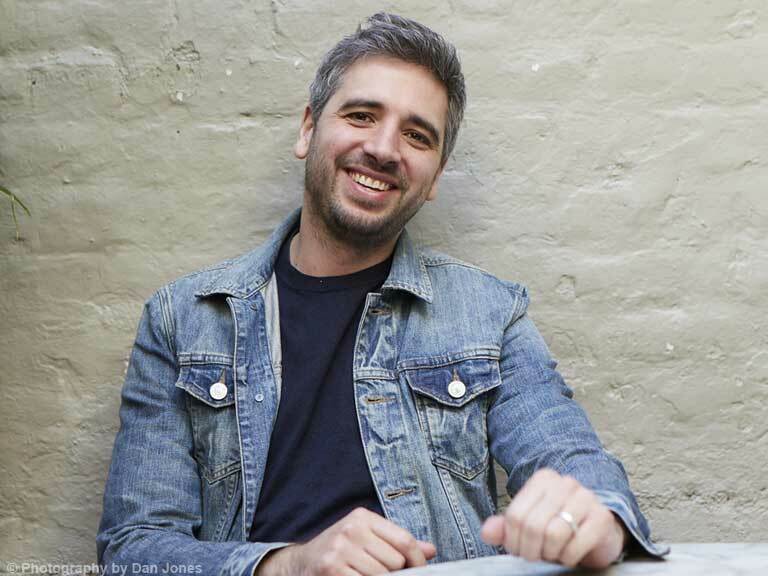 Miguel Barclay, "the £1 chef", specialises in low-cost recipes and is the author of the One Pound Meals series of books.